Cutting the Sky: Cut fabric 3.5’’ wide by 36.5’’ long. Cutting the Grass: Cut larger grass fabric piece 12.5’’ long x 5.5’’ wide. This is your dune grass. The remaining grass fabric can be used for tuft appliqués. 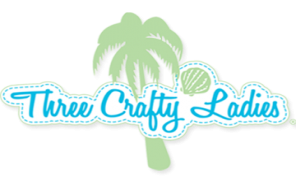 *Each kit includes plenty of fabric to make the necessary adjustment to the length of the sky. However, the grass fabric is not long enough to accommodate this change. We are happy to send you additional grass fabric to correct this error in length, but if you have already cut into your fabrics, and do not want to have a seam on your sky or grass, all you will need to do is sew the quilt as directed in your original pattern and then add a small border to each side of the row to adjust the total length. We apologize for this error, but are happy to assist you in anyway we can to remedy it! If you have any questions or need additional help, please call the store for assistance at (239) 472-2893. Lay fabric out across your cutting mat. Measuring from the selvage on the lightest end, cut off 12’’ of fabric, leaving you with a 7’’ x 32’’ piece. Discard the lightest section of fabric, as it will not be used. Next, reposition the fabric on your mat and cut a 7’’ wide x 23.5’’ long piece. Sub-cut this piece into 5.5’’ x 23.5’’ to create the beach. The remaining dark beige fabric will be for your turtle nest appliqué. 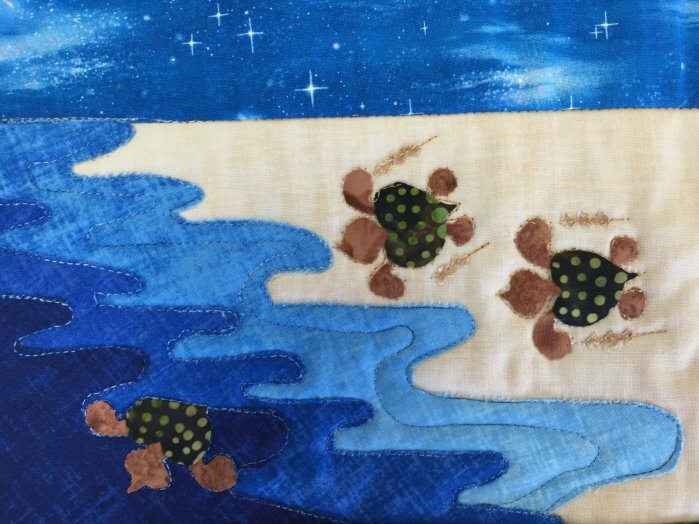 Lay your applique on the diagonal to differentiate the texture from the beach sand.